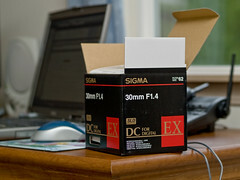 I got my new 30mm lens in the mail yesterday. It will make for a great portrait lens and should be great for concerts and bars and food and pretty much everything! I have taken a few pics with it so far and am looking forward to using it a lot. My lens collection continues to grow, but still have a ways to go before I catch up to Jackie's impressive lens collection.